Hello! I’ve got another fabulous wedding for you guys today! The gorgeous couple consists of Nicki and Matt, two people that anyone would love to know. The two of them met when Nicki was babysitting and Matt was doing work on the house. Two years later the question popped up! Their wedding day was truly special. Starting from the bride home where we met the bridesmaids and the special family pet- Lexi we were trill how well everything was planned. We had a lot of fun taking wedding pictures, as well. They decided to not see each other until Nicki was walking down the aisle. 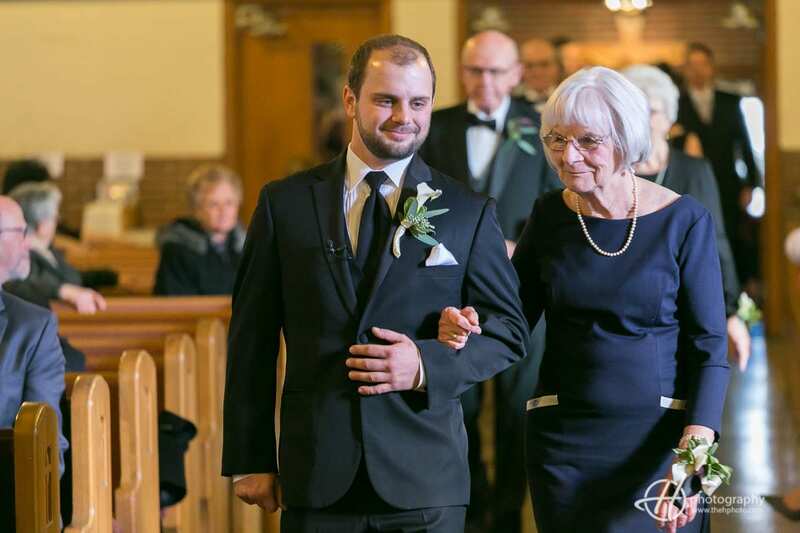 The wedding ceremony was at Sacred Heart Church on 15th Avenue and Iowa Street, Melrose Park, IL, the reception was at River Forest Country Club on 15W468 Grand Ave, Elmhurst, IL and was catered by River Forest Country Club. 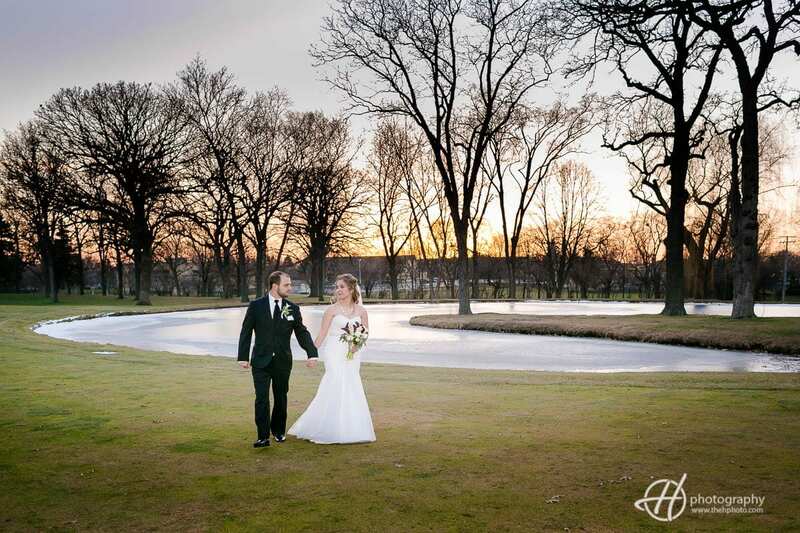 The photo session during the sunset took place also at the River Forest Country Club. Okay, let’s get to the pictures! The reception started with the grand entrance and cake cutting followed by the dinner with speeches. They danced to their first song Die A Happy Man by Thomas Rhett which was played by DJ Mark Curcio, JR .
-Stay calm. It will all work out. It’s one day and it will be perfect. -Like who you are working with. It will make it all much easier. -Shout wipes for the dress after pictures for the reception. A big thank you goes out to these awesome companies that helped make Nicki and Matt’s day so special. Limo Service: Hudson Group – The Trolley Car and Bus Co.
Matt and Nicki were such a delight to work with and I wish them many wonderful years to come. If you are in search of wedding venues in the suburbs of Chicago here is a page with some recommendations. This entry was posted in wedding venues, weddings and tagged Cake Maker: The Italian Bakery, Christmas theme wedding, Die A Happy Man by Thomas Rhett, DJ: Mark Curcio, JR, Limo Service: Hudson Group - The Trolley Car and Bus Co., Matt and Nicki, Quasthoff’s for real, River Forest Country Club Wedding, sunset wedding photos. Lovely images, you captured the emotion of the day perfectly! Lovely moments! The ones at the sunset are lovely! Great images. That ring shoot was stunning. Such a good job with Off Camera Flash!!! These are awesome!! Congratulations Nicki and Matt!! These photos are amazing!! Truly amazing work! keep it up!